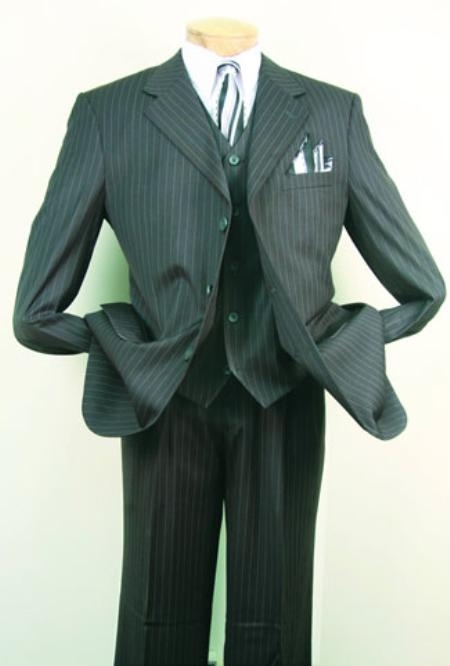 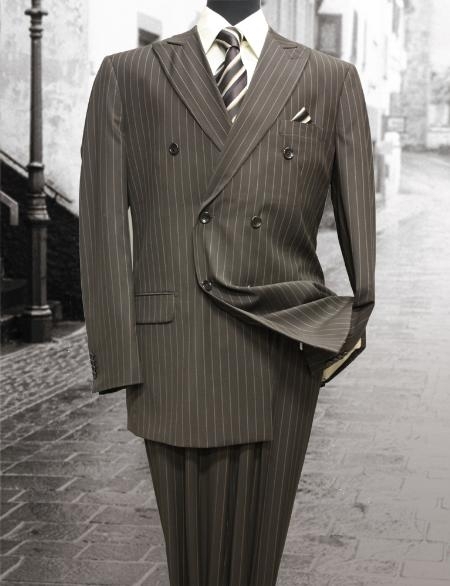 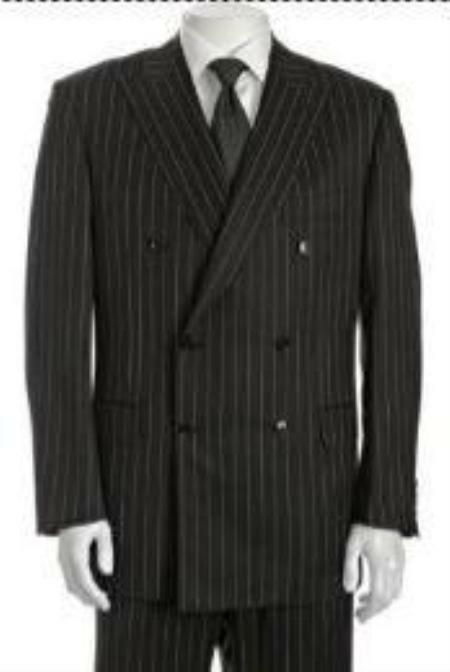 Men’s suits in the 1930s were wide, wide, wide. 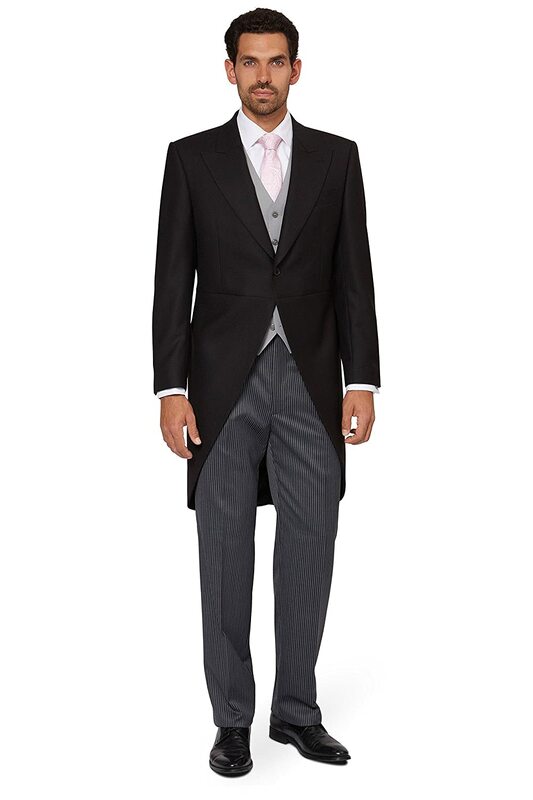 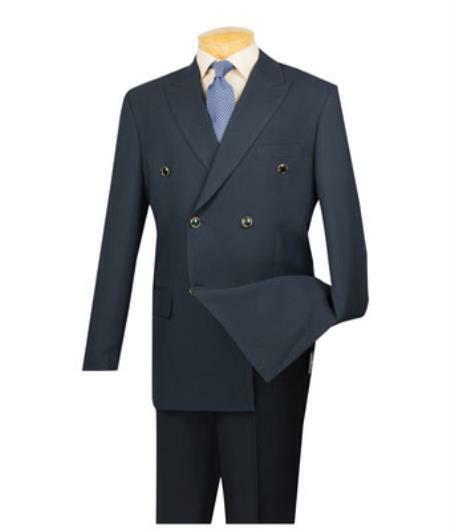 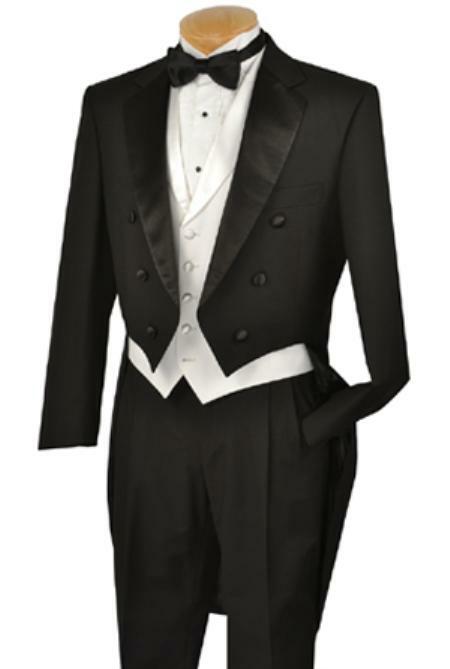 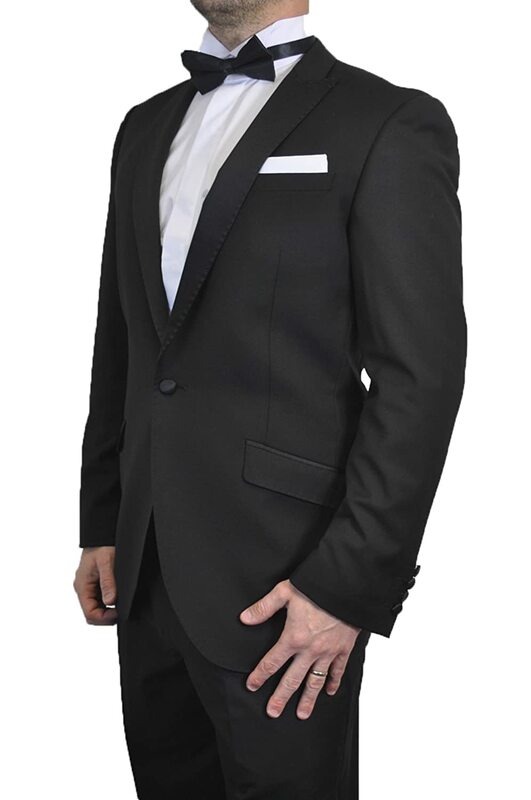 Broad shoulders, long jacket, wide lapels, and pinched in waist gave the silhouette of Superman. 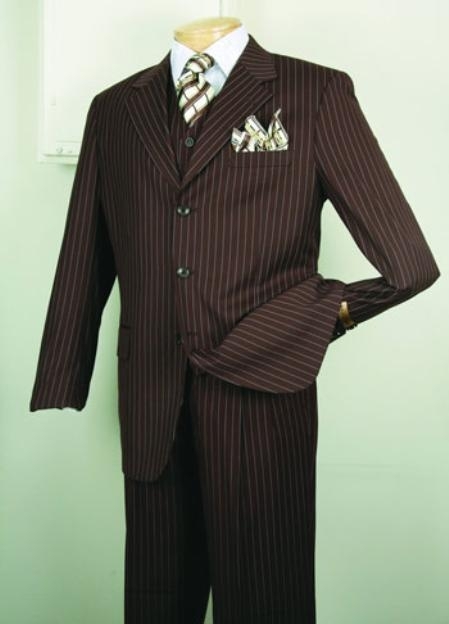 Stripes were in as well as plaids, windowpane, tweed, and herringbone in all colors neutral and jewel tone colors. 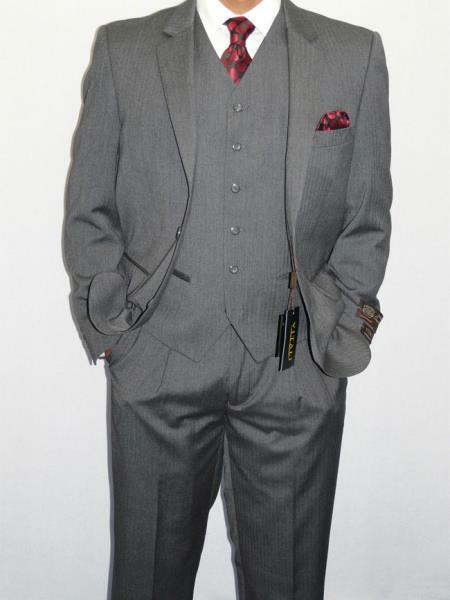 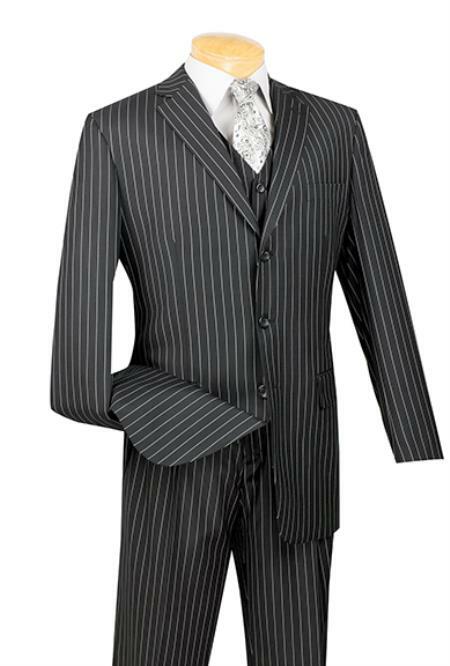 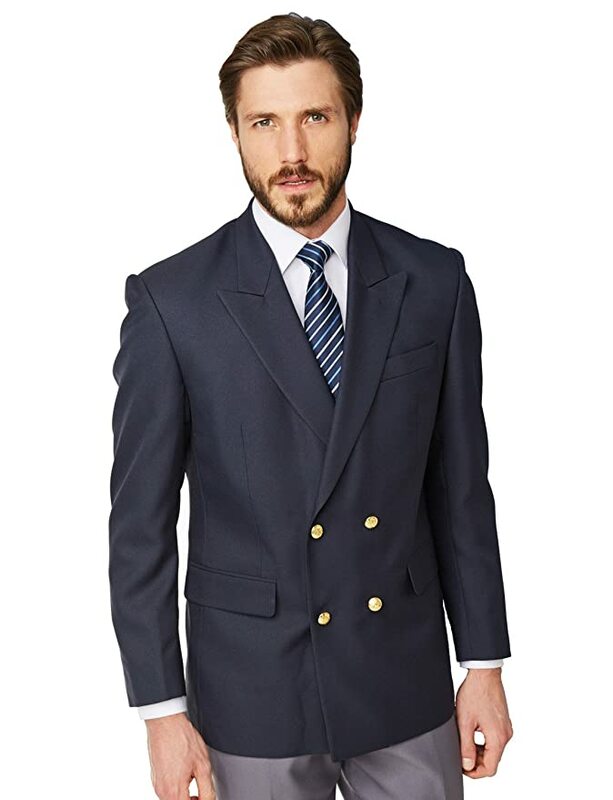 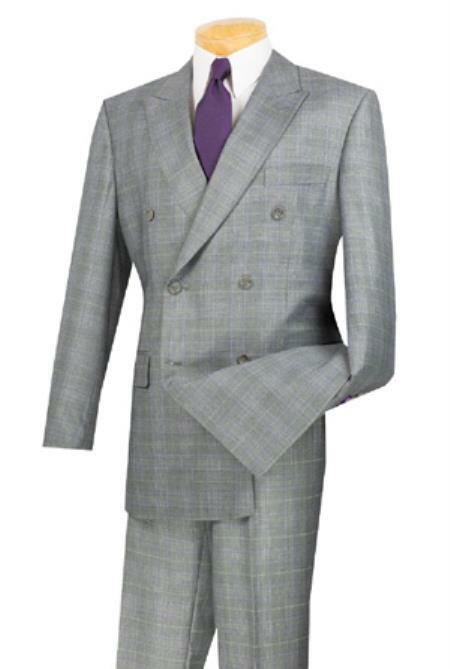 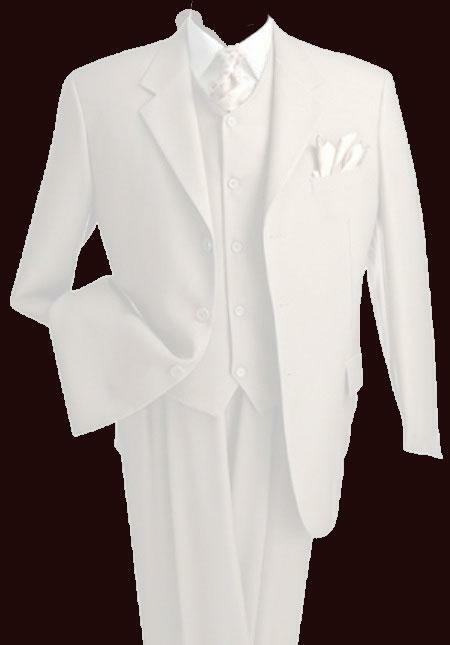 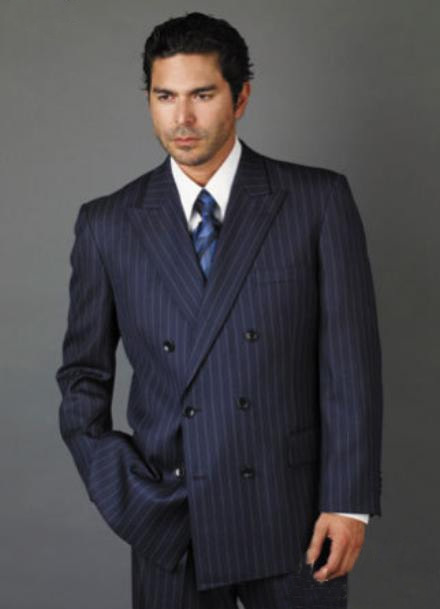 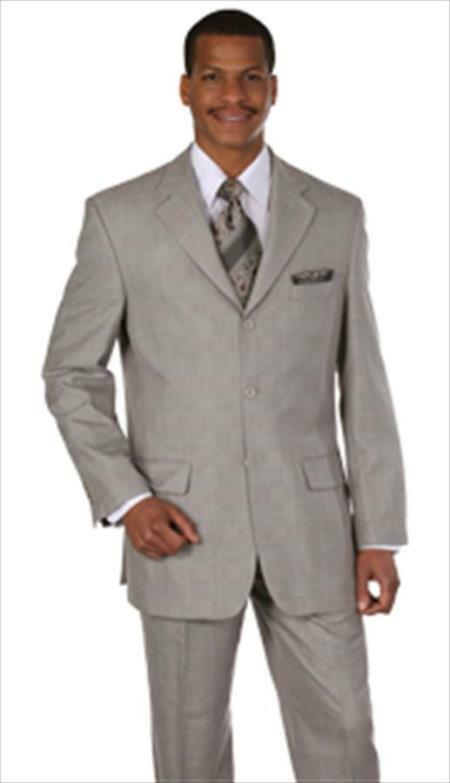 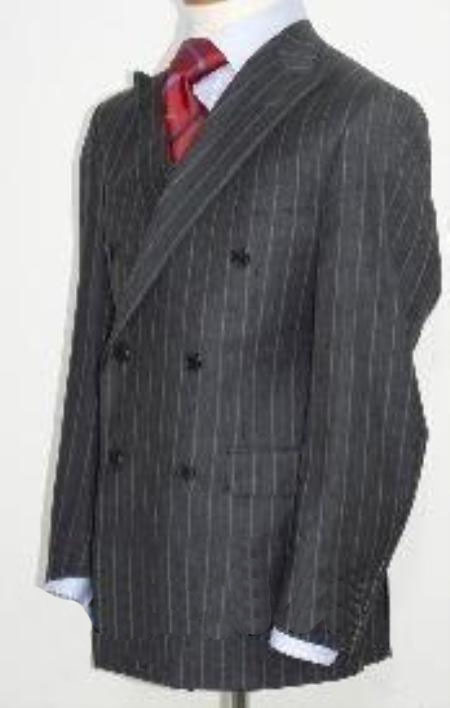 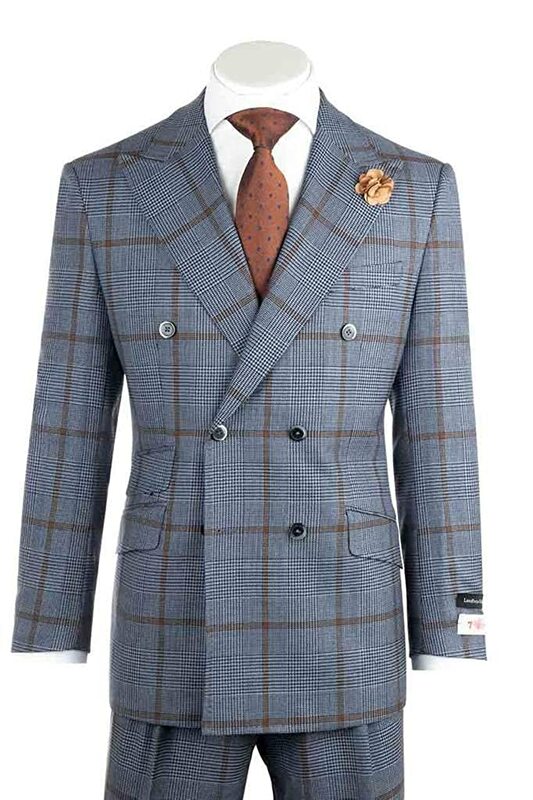 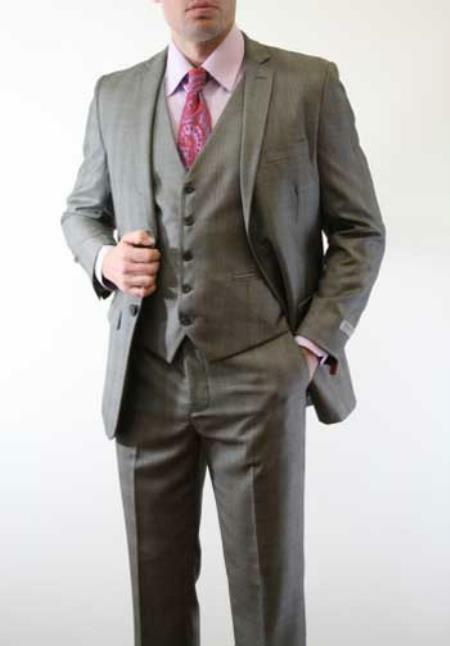 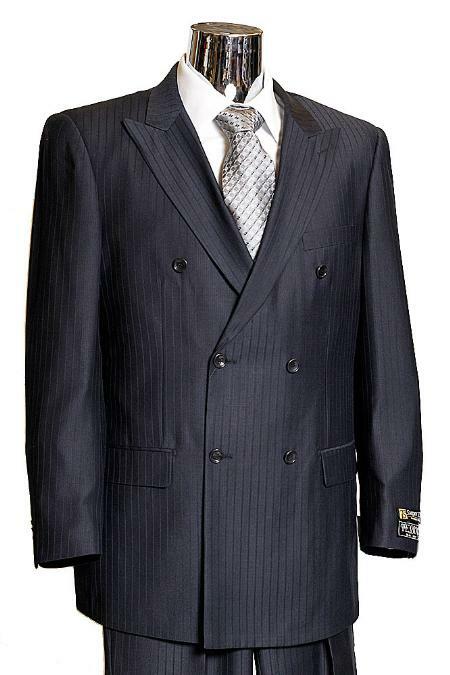 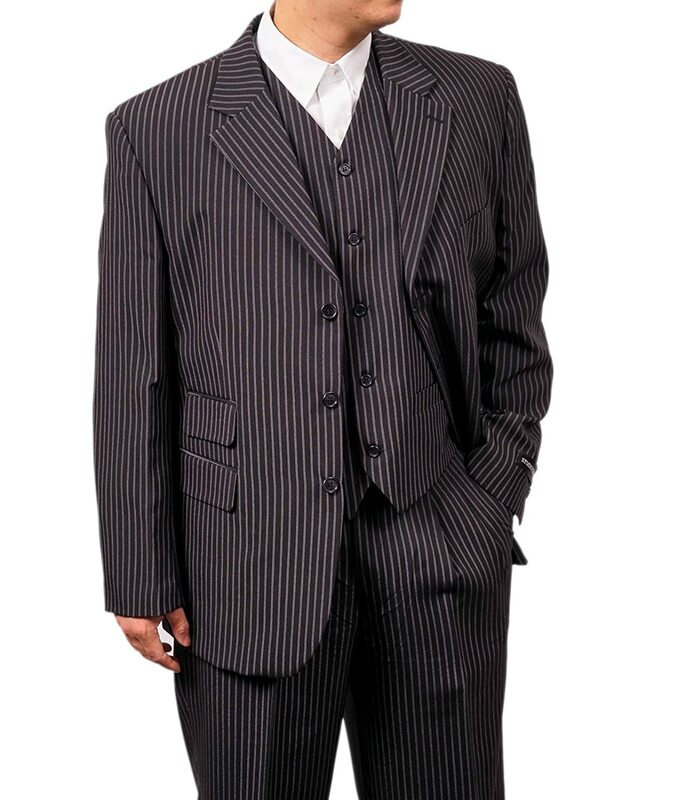 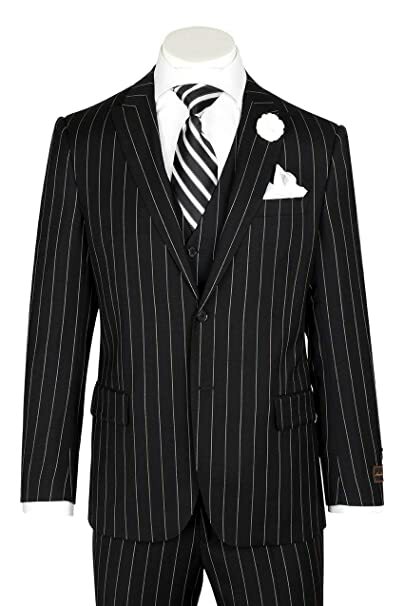 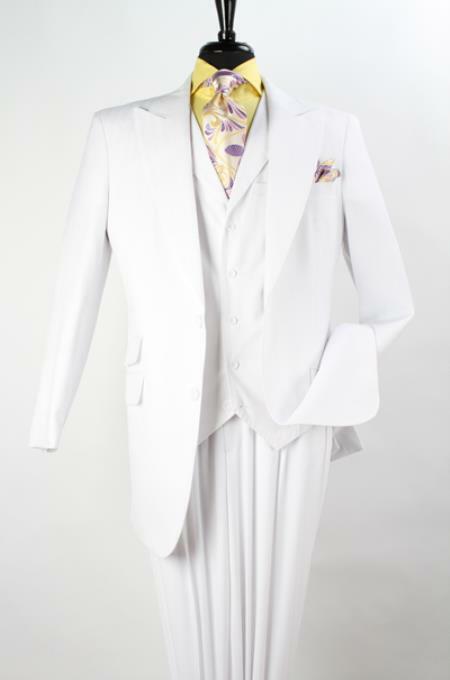 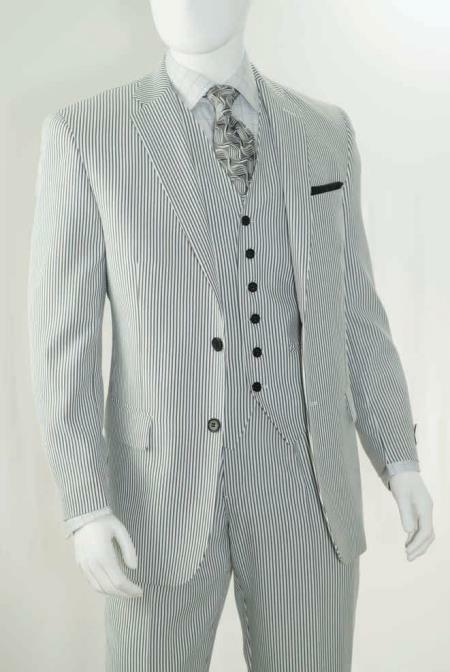 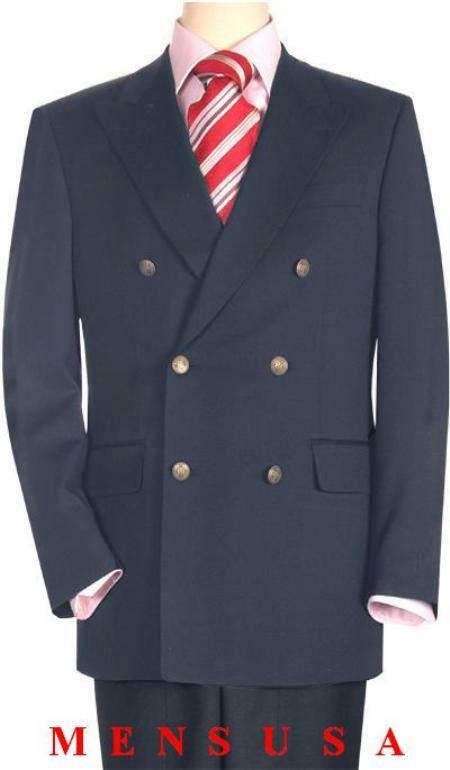 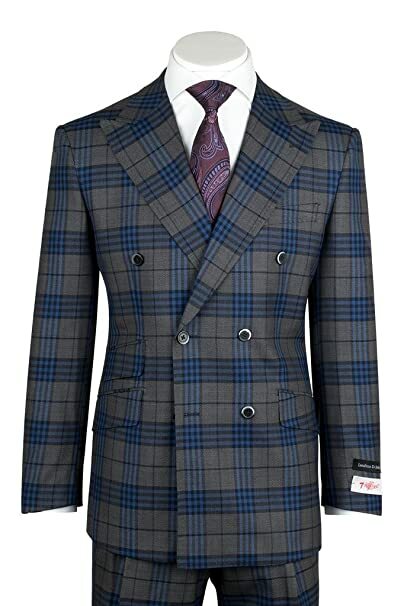 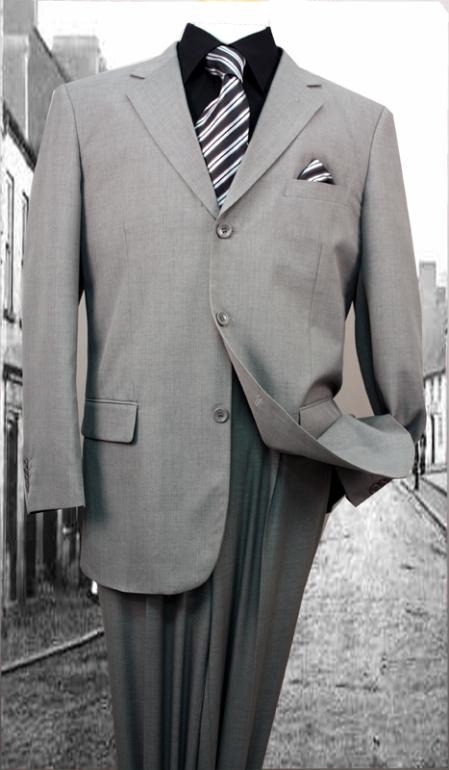 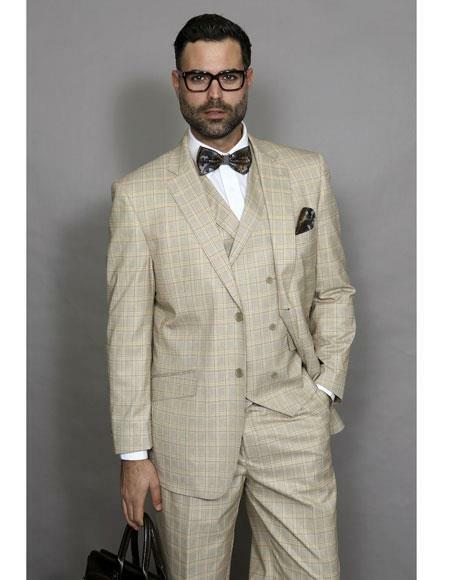 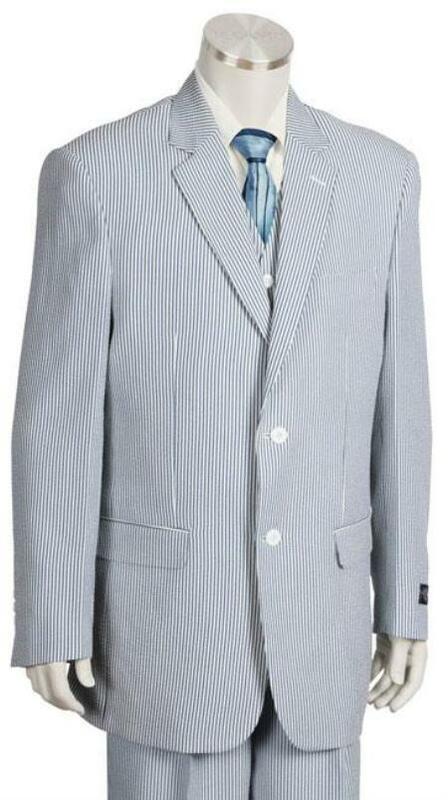 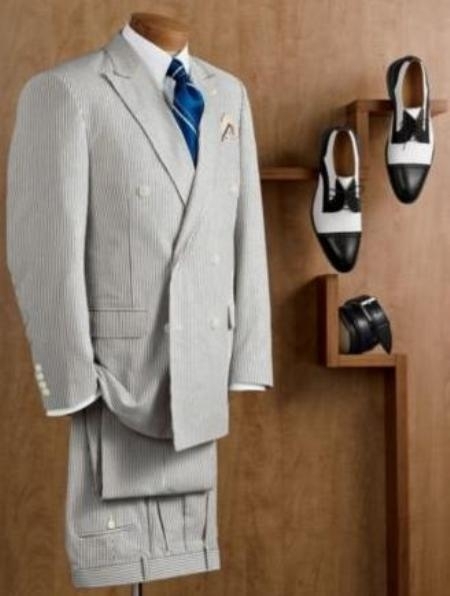 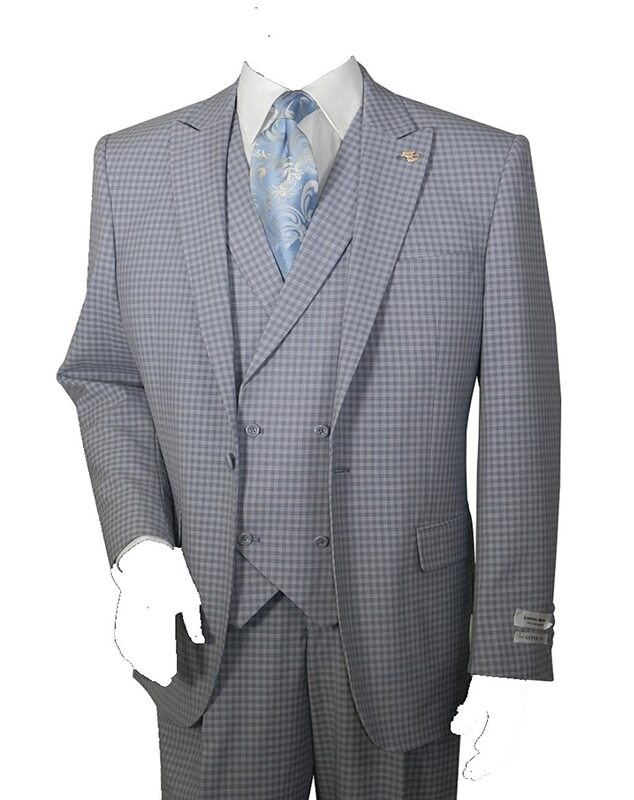 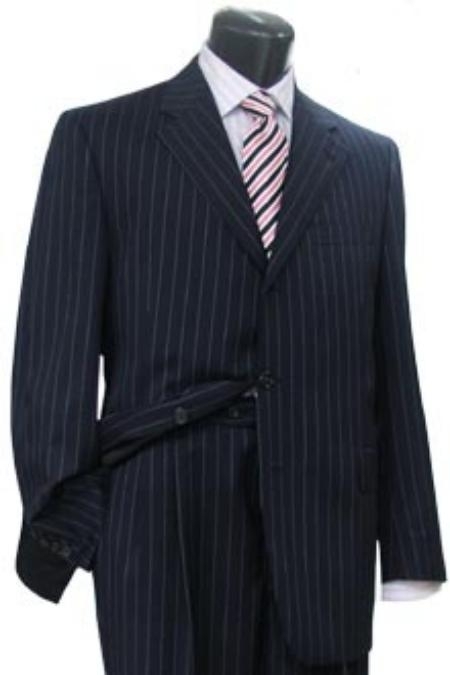 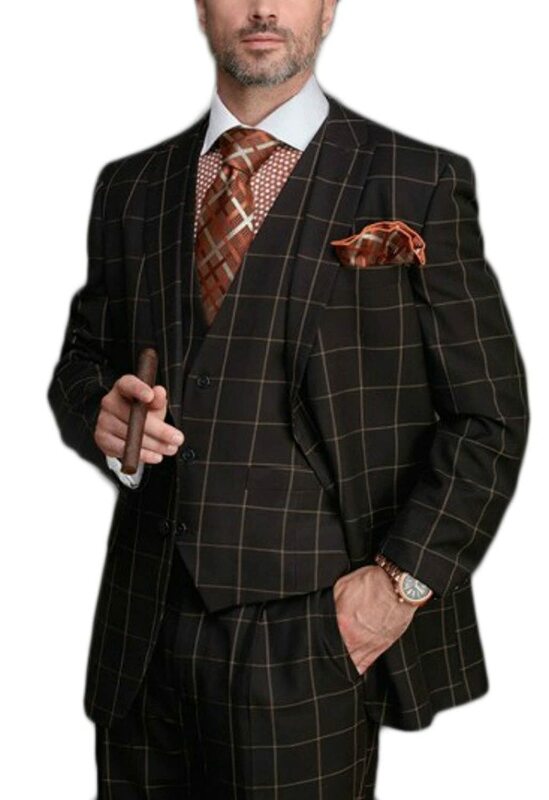 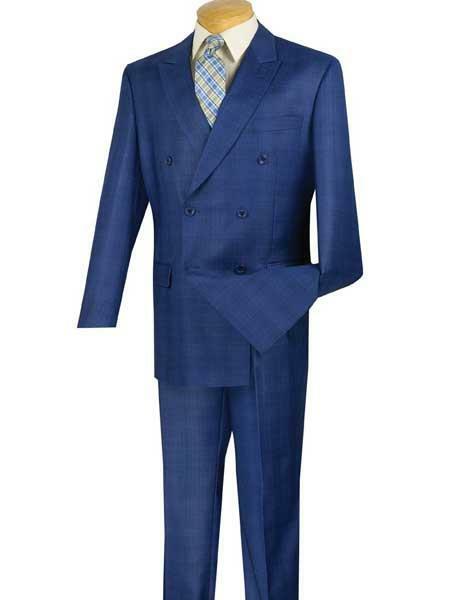 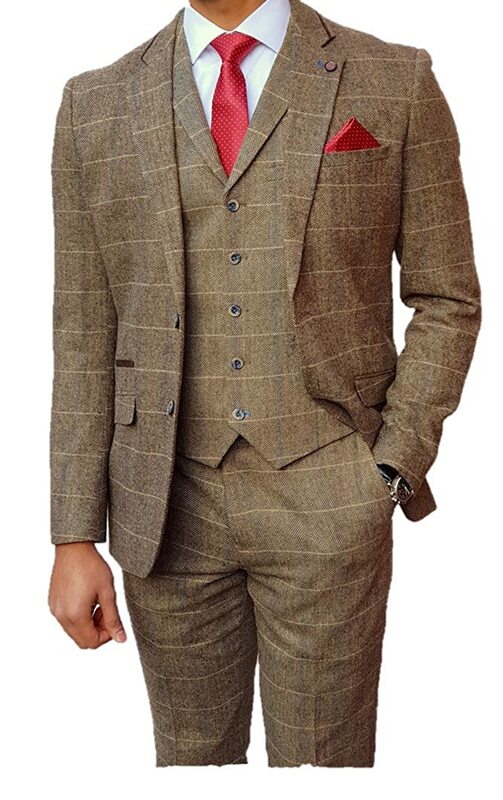 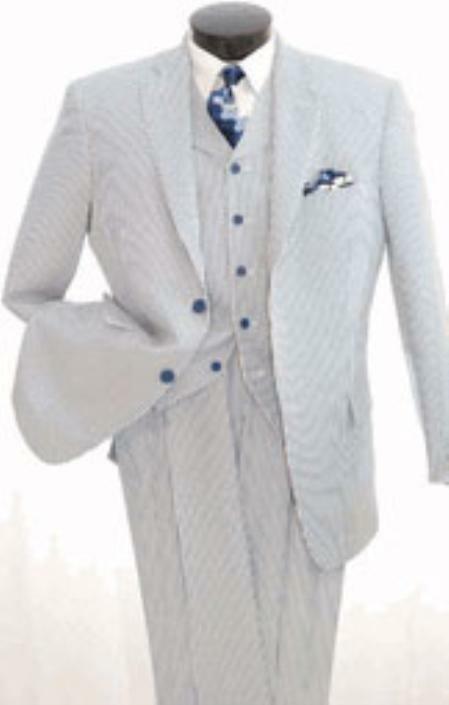 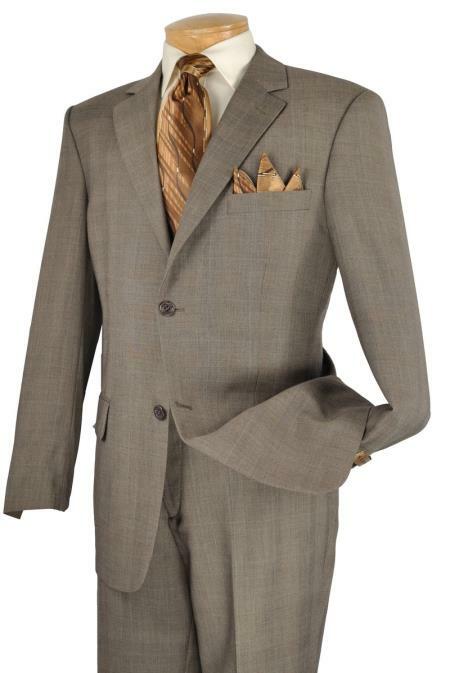 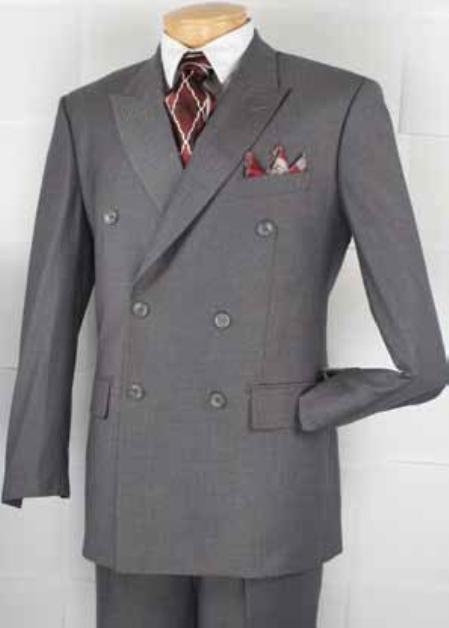 You can get the 30s look with a modern suit that has a distinctive pattern. 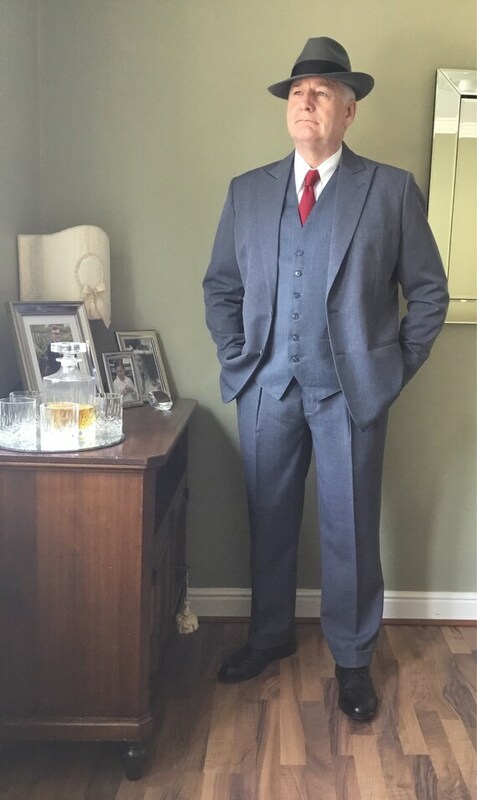 Double breasted suits look more 30s too although both single and double were in style. 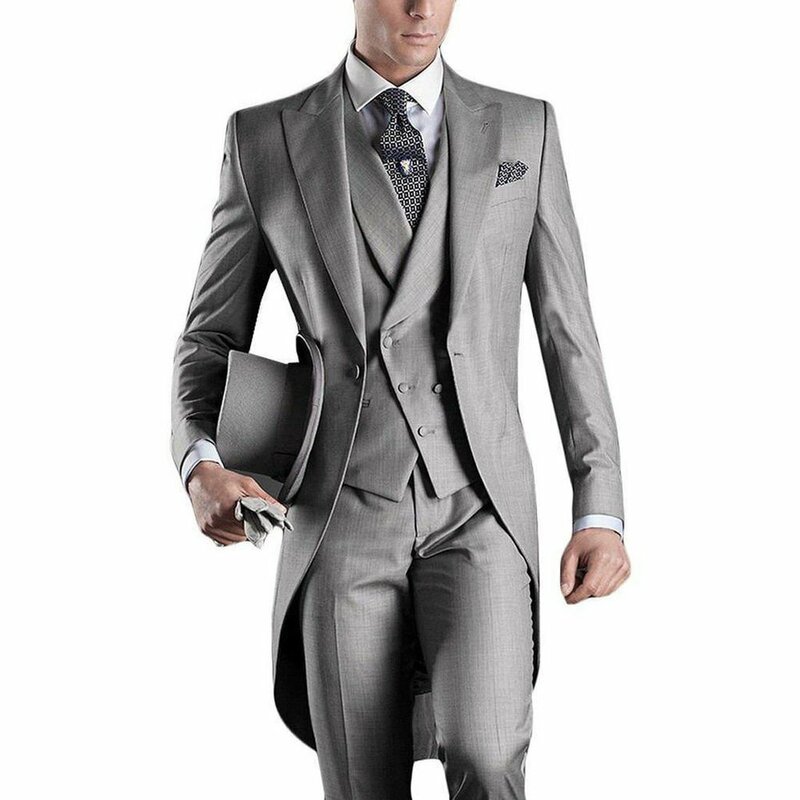 Avoid skinny suits and instead turn to the classic cut jackets in one size up to create a wider shoulder (add extra shoulder pads too.) 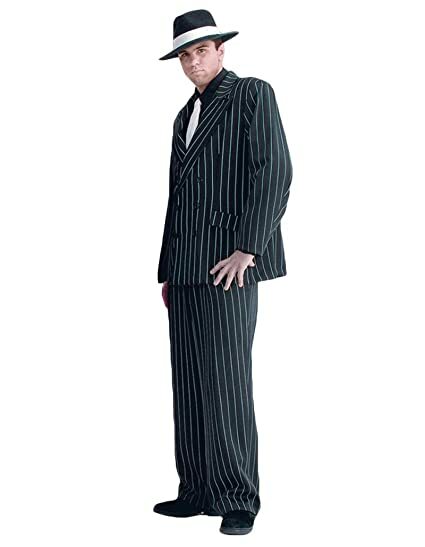 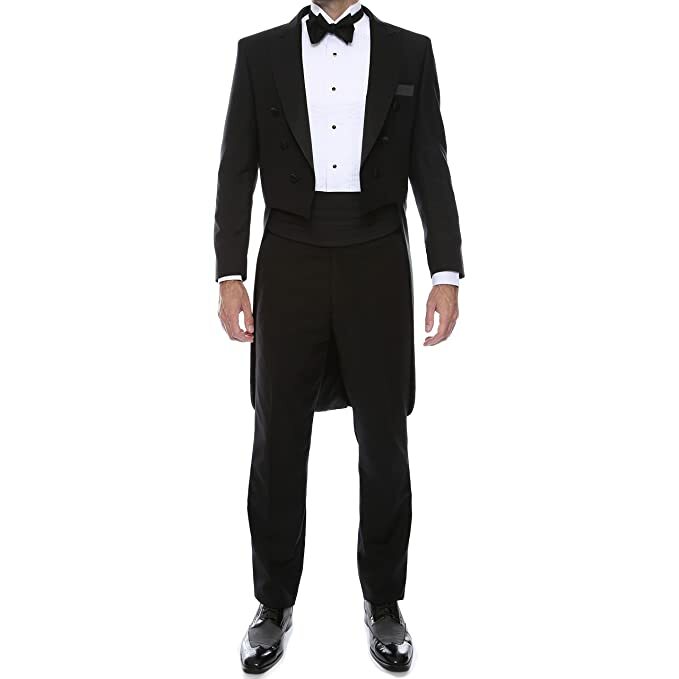 Pants legs are best in a classic, high rise fit, with one or two pleats and a wige leg. 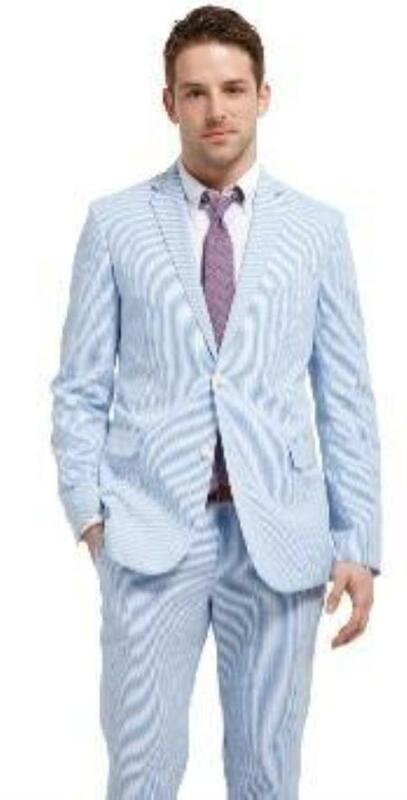 Sportcoats were very common as well. 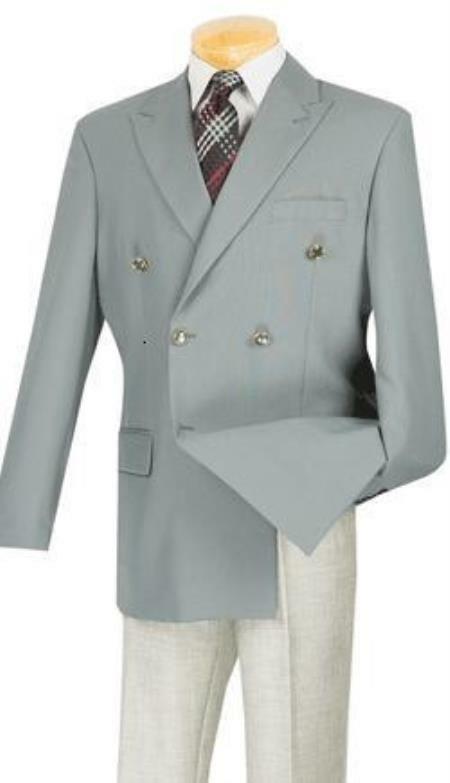 Men’s jackets and pants didn’t always match. 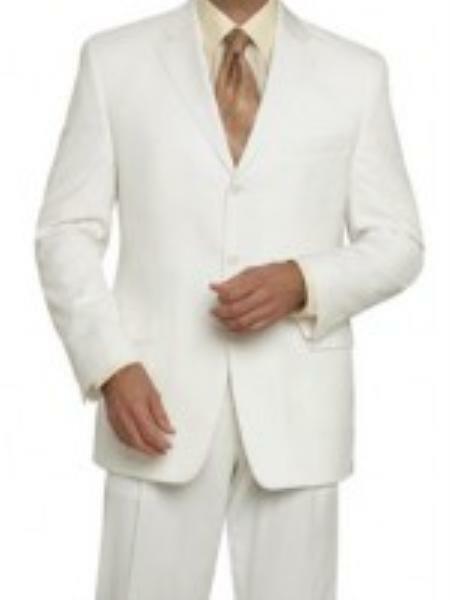 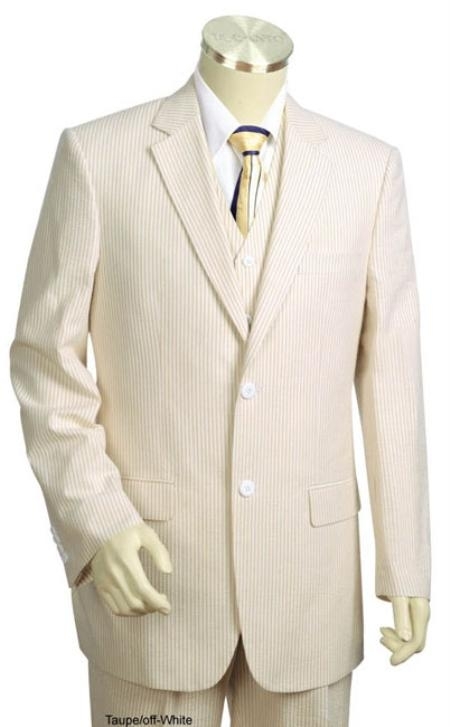 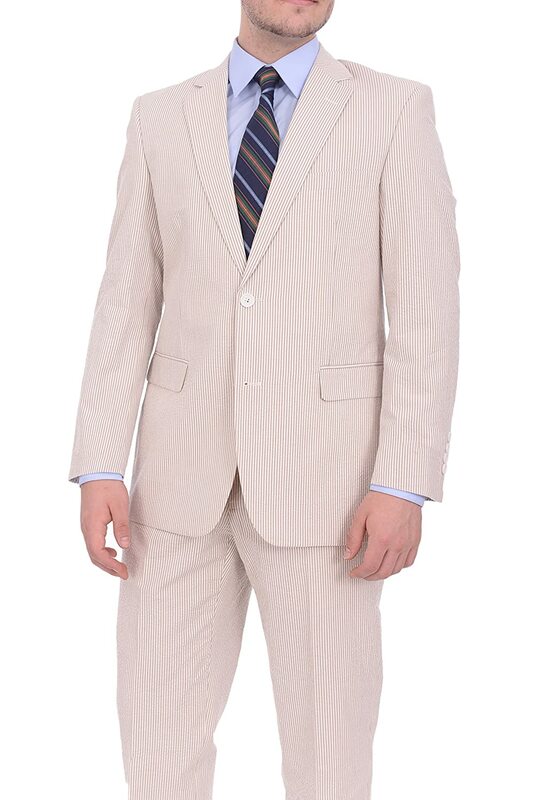 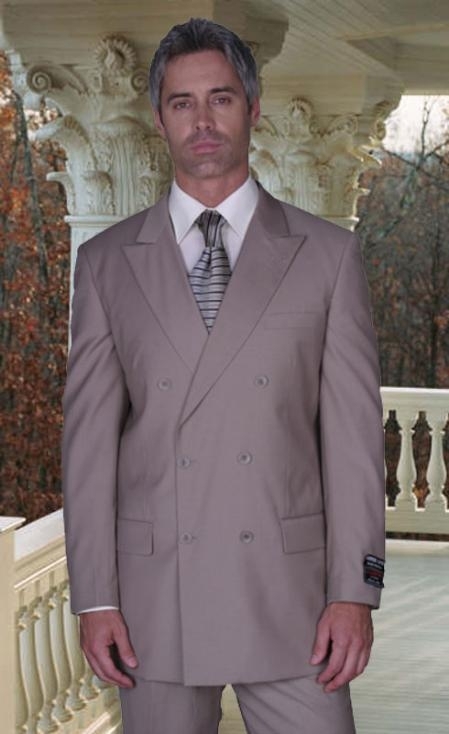 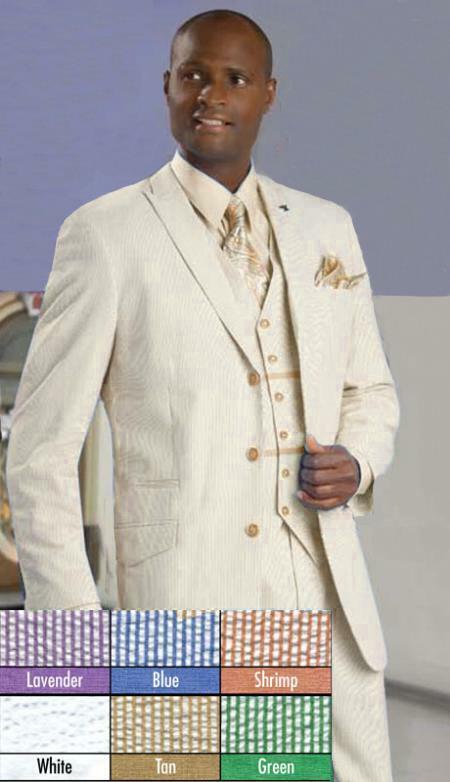 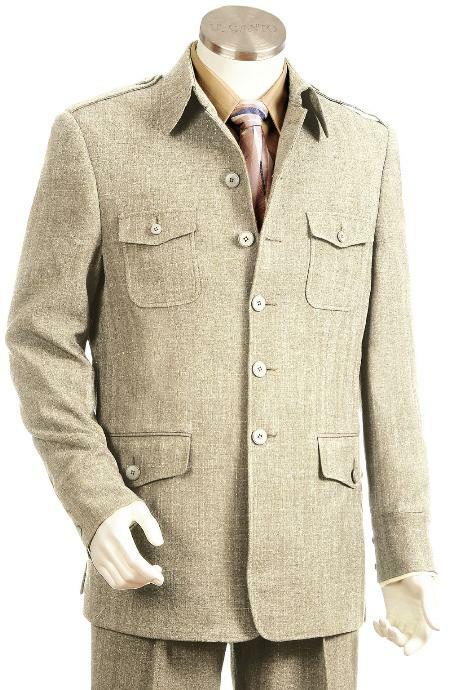 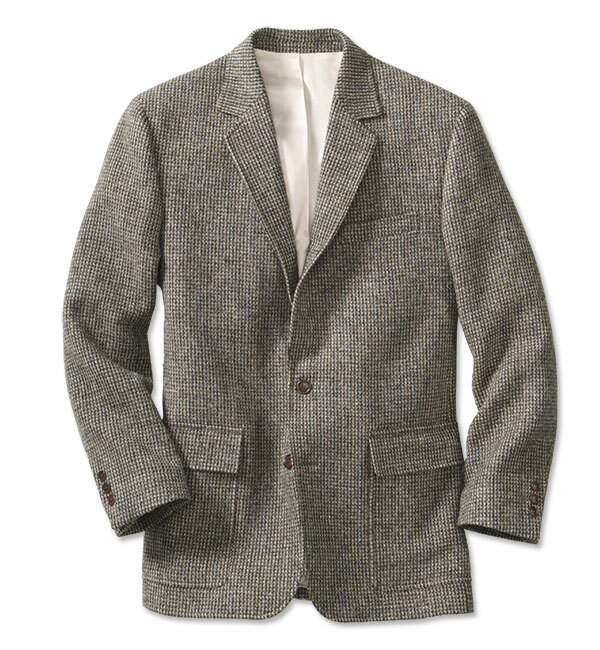 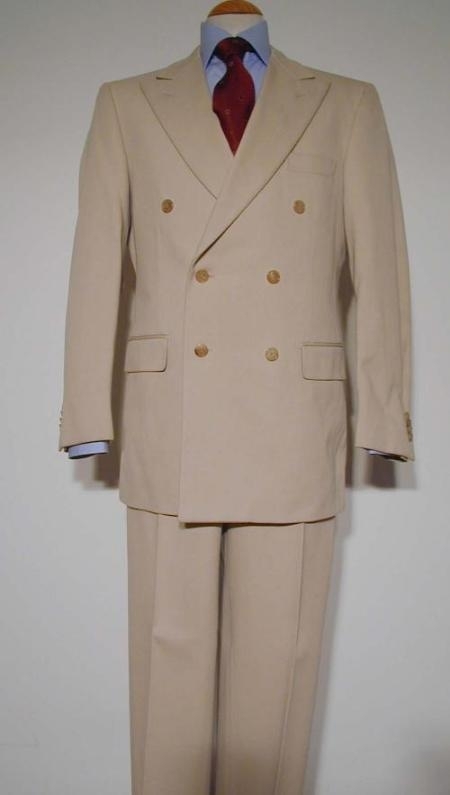 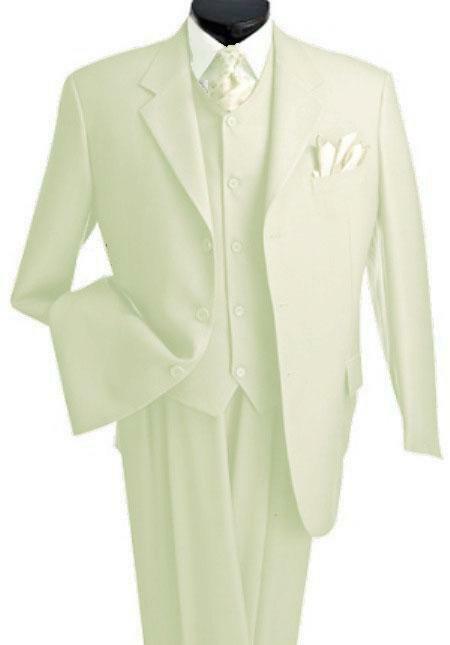 A dark jacket over light grey, tan, white, and ivory trousers was especially trendy. 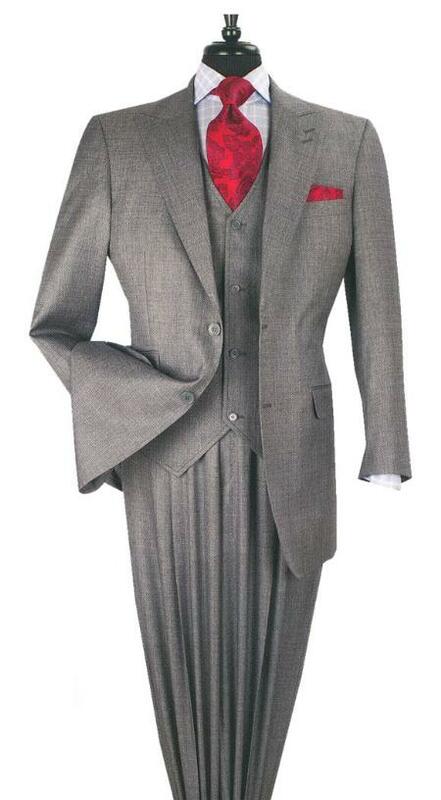 We searched for some great options of 1930s inspired men’s suits. 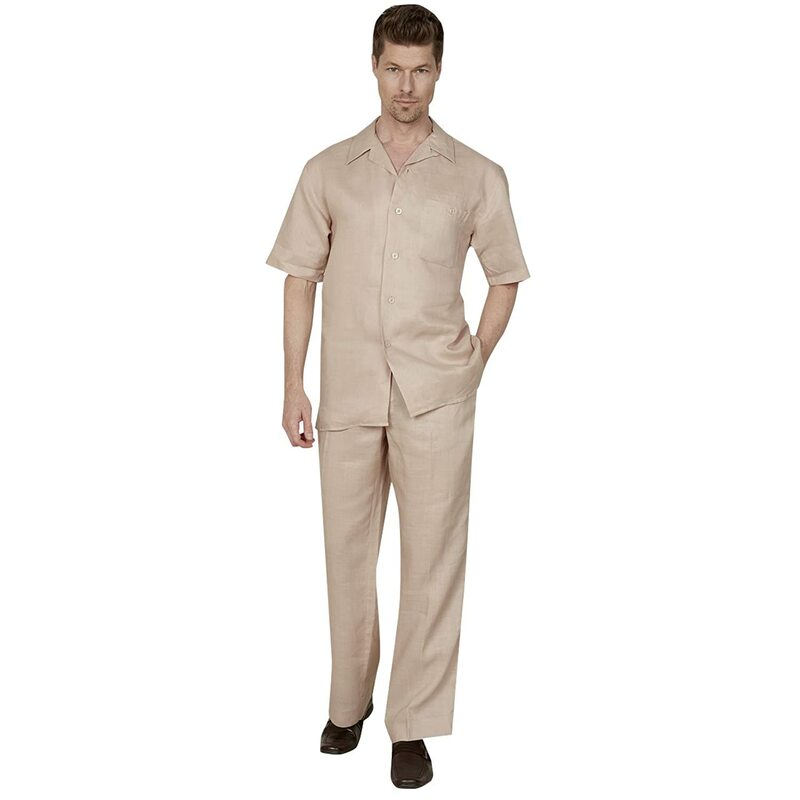 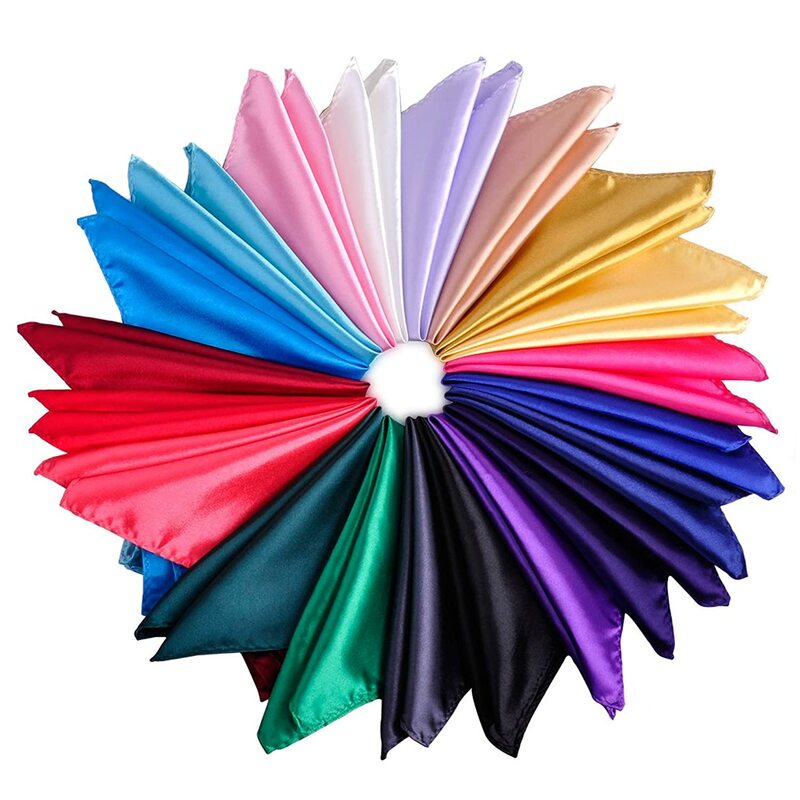 They come in patterns similar to the 1930s but with an updated fit for modern comfort. 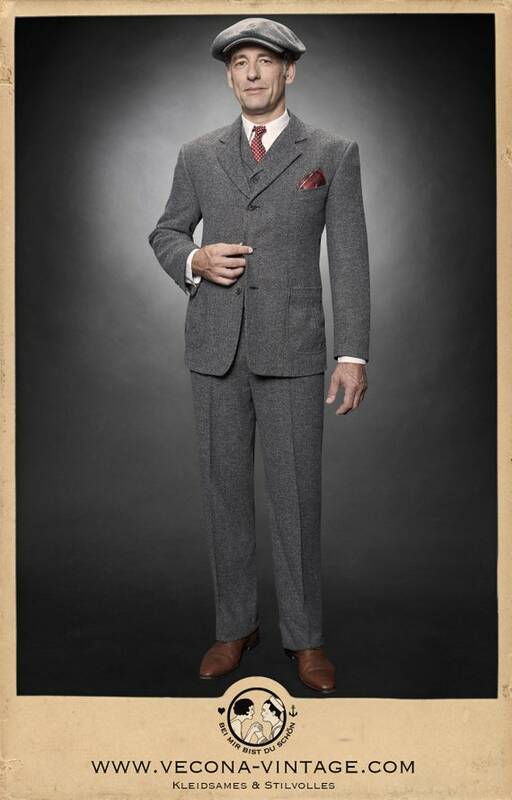 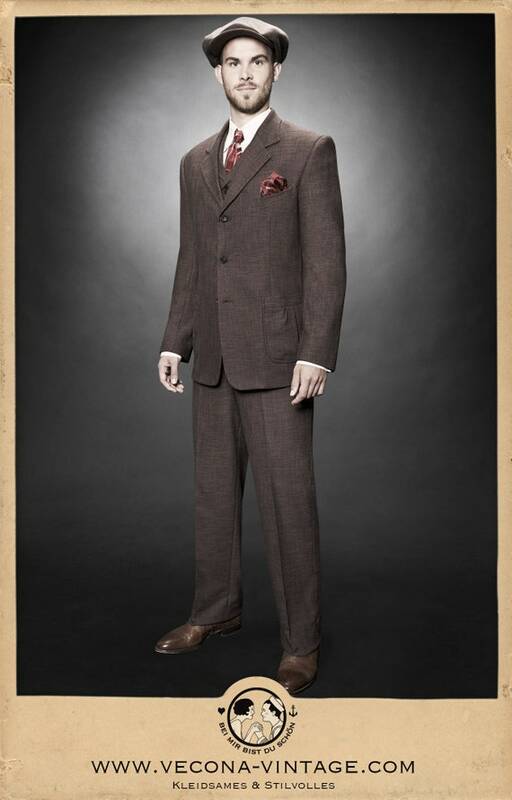 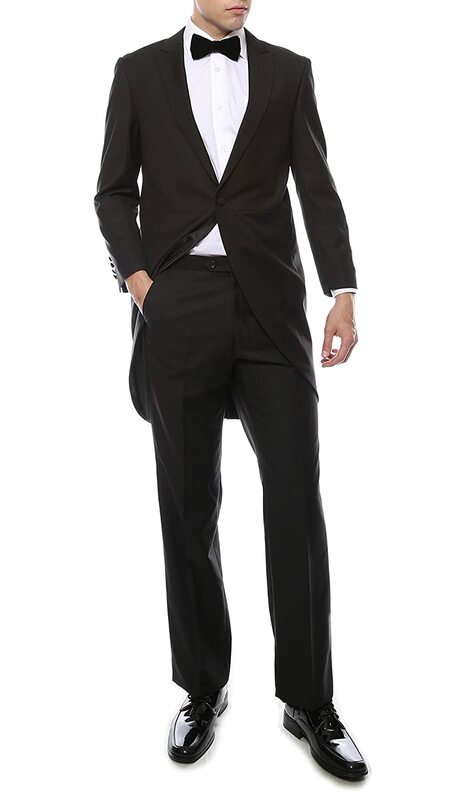 Read about men’s 1930s suit fashion before you shop.